I was 7 when I started sailing. How did you get started in sailing (what led you to get involved in sailing)? My older sister Kate just started sailing at the time and I was spending considerable time down at the yacht club and I started bugging my parents to do a course over the holidays. Optimist was my first boat. Why did you first choose to sail the Laser? And why do you sail the Laser now? I had sailed a 420 for a few months and was having issues with my crew not wanting to sail so the logical step was to go to something where I couldn’t be affected by someone else. I keep sailing the Laser because I love the fact that it’s you as the sailor, that in the end is the reason for your success or failure. The racing is unbelievable and it’s just a great class to be a part of. You competed in the 2010 Laser Radial Youth World Championships (Largs, UK) where you finished 14th in the Silver fleet. Was that your first Laser World Championship? Largs was my first Laser Worlds at that point. This was quite a while back, but can you recall anything about the experience in terms of your expectations and how you felt about your performance there and what kinds of lessons did you take away from that event? I didn’t really have any expectations leading in to the event. I was so young and inexperienced that I was literally just going to get some experience out there. 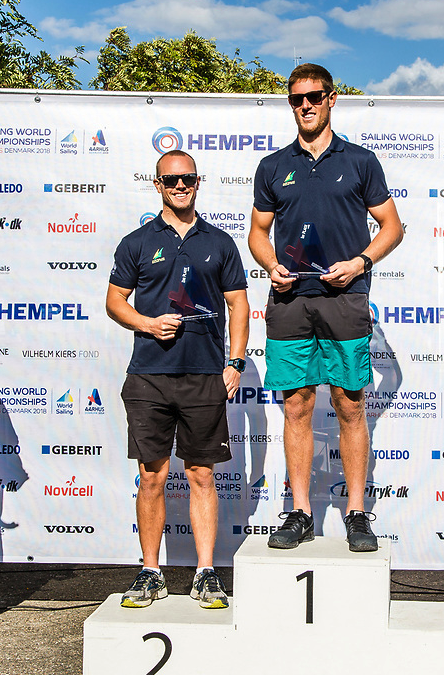 I knew roughly how good I could be compared to how I was sailing back in Australia against other athletes that have been to Worlds before though. 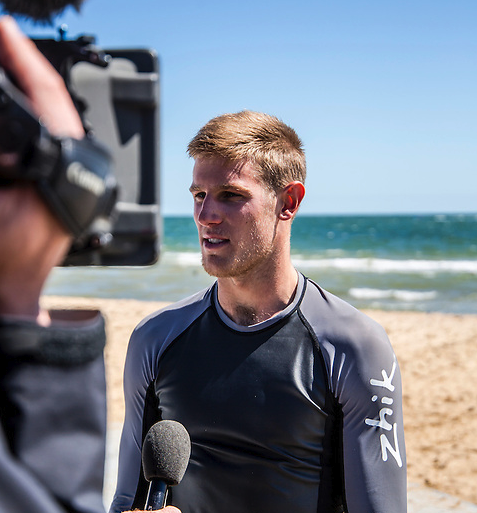 The following year, ISAF held their Championship event in Perth, which I believe is your sailing home and here, as quite a young sailor in the competition (16), you finished in the silver fleet. It is interesting to see not only some of the sailors who were sailing near you in the standings, but also some of the names in the top 10: Nick Thompson, Tom Burton, Pavlos Kontides, guys who are still frequently sailing in the top ten. Again, this was some time back, but can you recall anything about your experience at the time? It was an awesome experience. Sailing against the world’s best when they were all starting to gear up for the Olympics was amazing. To do this on the waters that I grew up sailing on was an incredible experience too. Did you have the physical size at that age to compete seriously in the Standard Laser rig? I was always big for my age so I was near about the right size for the Laser at this time but there was plenty of room for me to grow into the class. Were you just focused on becoming a better sailor? I was at the time. Once again it was just an awesome opportunity to get the experience especially before I was about to start my first full year as a senior Laser sailor. Were you looking to see how you would stack up against the best? At the time not so much, but I think my coaches Arthur Brett and Belinda Stowell were interested to see how I would go. Did you think to yourself, I can work to get myself up there with those guys? I couldn’t really imagine being up there with those guys. My previous Worlds experiences were tough to say the least, so I hadn’t yet found that confidence in whether I could do it or not. When do you feel like you KNEW you could seriously compete for a World Championship in the Laser? 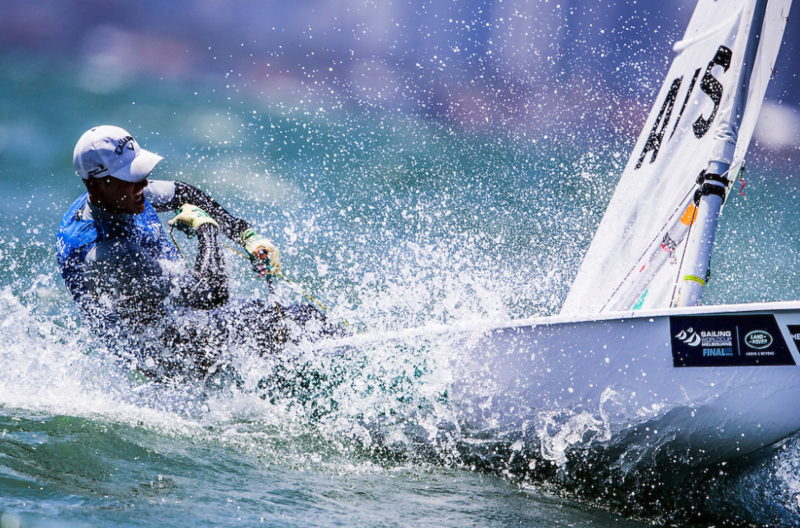 I think in 2013 at the Worlds in Oman, when I cracked the top 10, I realized that maybe with now having finished school and being able to completely concentrate on sailing, that one day I might be able to compete for that World Championship crown. Just moving a little bit forward in time, you finished 2nd in the 2012 Radial Men’s World Championship and 10th in the 2013 Laser Standard Men’s Championship and since that time, it seems you have been a fixture in the top 10. From the outside, that looks like a pretty rapid ascent in a fleet that is extraordinarily deep. Was there anything in particular that helped propel you from the silver fleet to being a serious contender for a podium finish? A major factor in this was getting on the Australian Sailing Squad in 2012. 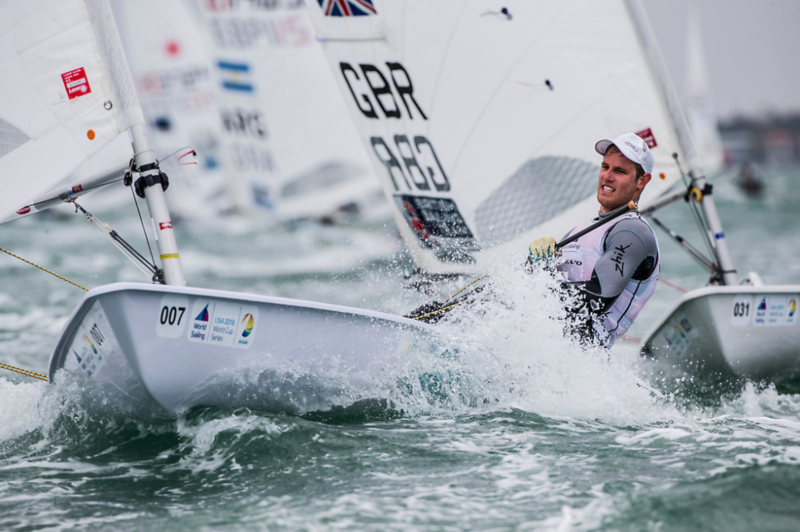 Being able to be a part of the squad in the lead up to the Games in London showed me what I needed to do both on and off the water to be competitive, and having finally finished school in 2012, I could just do what was needed to become a better sailor. More time training with the best guys in the world and getting the guidance from people like Michael Blackburn was a massive part in the jump. How did you come to be part of the Australian Squad? Were there tryouts of some kind? 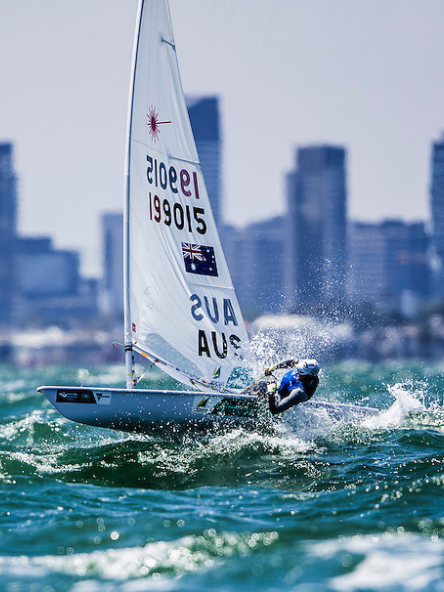 To get on the Australian sailing squad was performance based, from some domestic events the previous year. In many cases, regular finishes in the top 10 (and frequently in the top 5) in most major Laser competitions around the world would make you a solid candidate to represent your country in the Olympic Games. But… fellow Australian sailor Tom Burton (and gold medalist in Rio) is also sailing right there, and sometimes in front of you by a few points. What is your sailing relationship like? Is it a friendly rivalry where you are each pushing each other and becoming better sailors? Do you help each other and learn from each other? The couple of years leading up to the Games in Rio was testing on our relationship but it was always a professional one. The rivalry definitely brought the best out of both of us and that constant push of having to beat the other has certainly helped me get the results I have had. We help each other out on and off the water as we both know that it is in our best interest for both of us to keep improving. What is your relationship with Tom like off the water? Off the water we get along quite well. Usually at events overseas we will stay in the same place and will spend rest days playing golf or doing some form of activity away from sailing together. Where Matt Wearn needs to finish to represent Australia at the 2020 Olympic games. 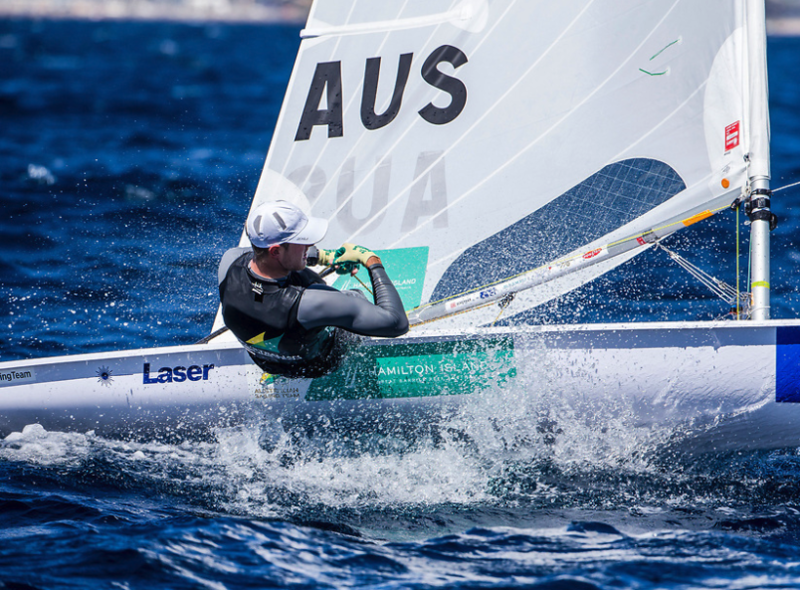 What do you think it will take for you to become the best Laser sailor in Australia and earn the right to represent your country at the 2020 Olympic games in Tokyo? For that to happen I realistically need to be the best in the world. We both do. With the level Tom is at there is no doubt he is going to be able to produce regatta winning performances come selection time, so it is going to be important for me to try and win these events. What are your sailing goals for 2018? Worlds is the big priority. Trying to get that first World Championship under my belt would be incredible. Otherwise I am just looking to keep producing good results and getting up on that podium as much as possible. What do you feel are your strengths in sailing? (boat speed, starting, downwind, etc.)? The stronger winds are definitely my strength. Being from Perth and growing up sailing in the arvo sea breezes has given me the natural skills needed to sail in the stronger winds. I also love the challenge of out-hiking other competitors and being able to be more physical out on the race course. What are the areas where you feel like you would like to focus on making improvement? Being an allrounder really. Being able to consistently produce good results no matter what the conditions. You are sailing at a level where you are a serious contender each time you go out on the water, and where the sailors against whom you are competing all have the skills to win. While there is some element of luck or chance involved in sailing, it is often about minimizing mistakes at this level. How do you work at reducing mistakes, or minimizing their impact? Having that allrounder ability and being able to fight back during races. Turning 20’s to 10’s can make massive differences at the end of the event. Is there anything you do to become mentally “tougher” on the race course? Or to be able to keep your focus? I think just the desire to win comes out in the end. Always wanting to be the best allows me to keep that focus out on the race course. At the beginning of an event, are you aware of the other sailors whom you feel you will likely need to pay attention to during each race? Or do you just sail your own race until the standings start to take shape? Just sail my own race. Like you have said before that there are so many people out there that can win the events that it becomes impossible to control them. I believe I am better off just sailing my own regatta until those final days. 2018 Sailing World Cup Miami, on the way to a fifth place finish just 11 points out from 2nd. What kinds of things do you like to do to take a break from sailing? I enjoy playing golf when I am at home. Spending time with mates and just generally relaxing. Is there anything you do that is unrelated to sailing but that you feel makes you a better sailor? I believe my girlfriend Emma Plasschaert plays a big part. Although she is technically related to sailing, having Emma around at events makes a huge difference to allow me to relax and unwind. Having that person that understands what’s going on in your head after a good or bad day can really help with that ability to keep fighting come the next race day. Do you have any goals in areas outside of sailing? I eventually want to get a degree that can help me down the track once the racing is complete. I am also interested in building my profile as a sailing athlete to promote the sport around the world and get more people interested in what we do. Is that degree something you think you will be working towards in the near future? Or are you 100% all-in focused on sailing for awhile? At the moment I am going to be concentrating purely on the sailing until 2020. Do you have any idea what subject(s) you might like to study when the time comes? I am not 100% sure on exactly what I would like to study yet but I am interested in going down a path that can keep me involved with sport. What would you like readers to know about Matt Wearn as a person?